Want to transform the look and feel of your interior space with attractive colors? Contact Tetra Construction to revitalize and revamp your home. 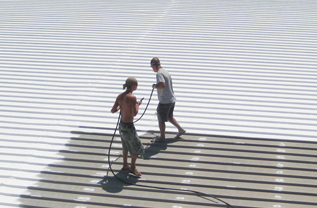 Tetra Contraction provides professional painting services to residential, commercial, industrial project. We used environment-friendly products for interior and exterior painting to give extra ordinary look to your day to day space. We customized the painting services based upon the client’s needs. As an experienced Commercial Painting Contractors, we serve all five Boroughs of New York City (Brooklyn, Queens, the Bronx, Staten Island and Manhattan) Long Island, Suffolk County, Nassau County, New Jersey City for years, we are able to handle all types of projects and can be very helpful in providing the service suggestions. We always put the customers first and provide them reliable, technical and sound work experience at affordable rates. Tetra Contraction is a reliable general contractors for all your inside, outside, and green painting needs. From paint to stain, varnish, or faux finishes, we do all whatever you like. We begin with competitive prices and complete the project that beyond the customers’ expectations. Tetra Construction is fully licensed contractors ensure secured work environment. Our skilled team equipped with latest industry trends crafts masterpiece by showing true passion of work. Whether it is residential, industrial or commercial, we believe no project is too big or small; our experienced professional painters handle each and every project systematically from plan to start and finish keeping all your belongings safe. Premium quality eco-friendly material is used so you get perfect finishing coat. Your 100% satisfaction is our top priority. Call us 1-718- 600-8484 or just fill out our free Estimate for no obligation interior paint or color consultation. Let us bring life to your ideas with fast, reliable and quality interior painting services.